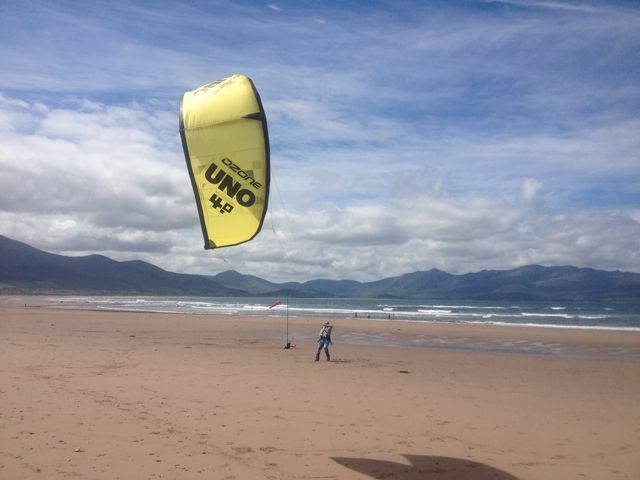 Ryan Coote gets treated to kite surfing one of Ireland's holy grails of surfing locations. 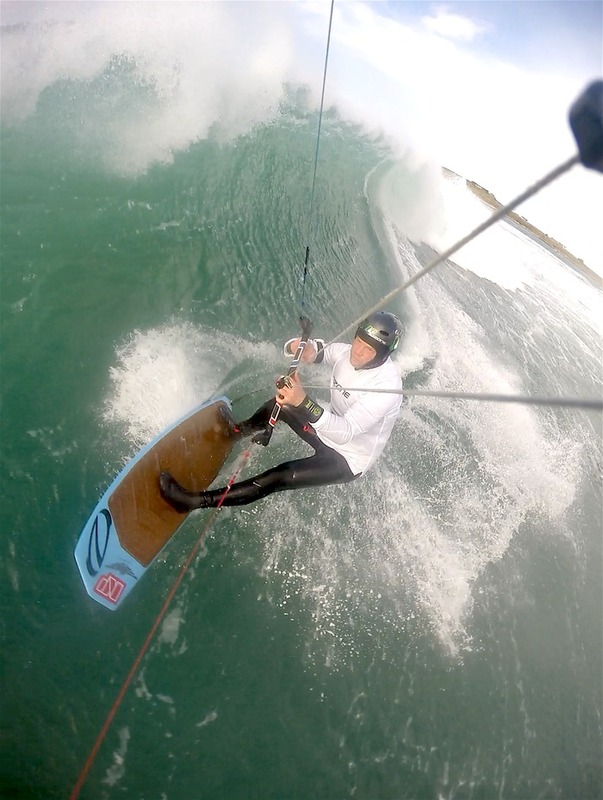 Crab Island is one of the best right-handers in Ireland. It is also extremely dangerous and extremely heavy. It is a offshore island surrounded by rocks and massive cliffs. Needless to say there is no happy place to launch or land or even swim in. When you commit to kite surfing a spot like this you have to be fully committed you also have to be fully prepared to ditch everything and swim swim swim. The wind on this day was shifting from cross shore to cross off shore 14 to 20 knots. My 10 meter Reo V3 worked a treat drifting through the sky with ease as I shifted back and forth from wave power to wind power. This surf spot is for advanced riders only and can get massive very quickly with strong currents. Even though the swell was a nice size the period was very small so the waves lacked some projection. So sit back turn up the volume and enjoy the ride. Ozone Edge V8 Going Huge. All of us at Ozone have a deep rooted passion for riding whatever the weather, we design and manufacture kites that we believe will be able to take us out in all conditions to push our limits and bring us back safely. Ryan Coote has been with Ozone since 2010 and is known for living in one of the wildest places to ride on earth, Brandon Bay, Ireland. Lou Merkert our dedicated camera man shot this fantastic footage of Ryan heading out in ballistic cross off shore conditions in almost zero degree conditions with howling wind and pumping waves. Dedication and passion are the words to describe Ryan and Lou’s film. Ryan took the V8 Edge to showcase its huge boosting characteristics, controllability and warp speed riding – while on a mission to beat his own personal best WooSports record of 18m. Send it Ryan! At Ozone, we are impressed with this video, we hope that you are too from the comfort of your warm living room. The Light Of Day. Video.